Politics can make people deaf to reality. Religion can easily do the same. Once a person is indoctrinated by and bonds to a political or religious world-view, severing that connection can be as difficult as separating the outer layer of the skin from the soft tissue just beneath. This might cause some folks to conclude that both politics and religion should be done away with. But, you can find a similar kind of devotion to a particular athlete or a sports team, a make of car or a preferred musical instrument, even. The point being, that this devotion to a person or thing seems to be a peculiarly human trait. Here's a good example, a teacher in Virginia, teaching a lesson in calligraphy, used two phrases as her teaching tool, the first, “There is no God but Allah.” And, the second, “Muhammad is the messenger of God.” Now, the teacher wasn't a Muslim. 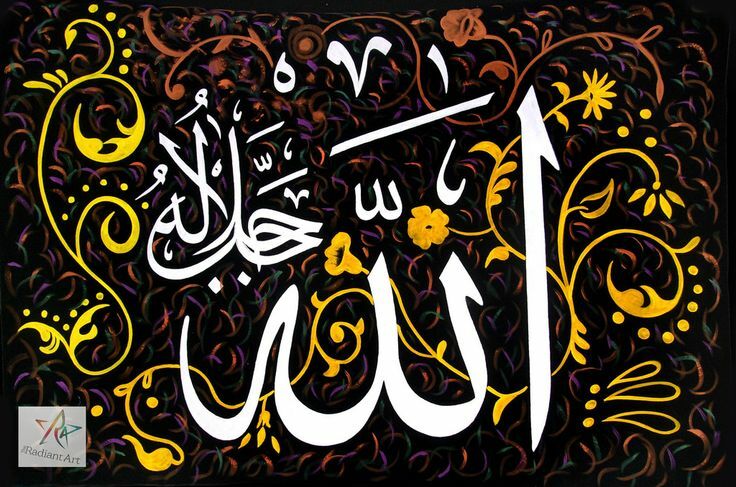 She was an American who apparently thought that these were fine examples of Arabic calligraphy. Maybe they are. But, the sheer tone-deafness of the teacher to the world around her is nothing short of stunning. Would she have assigned a phrase like; “Jesus is the way, the truth, and the life?” Maybe. Maybe she was just oblivious and not a bad person at all, not a Muslim convert or a radical Jihadist. Maybe, she was just open-minded. Either way, this little exercise in calligraphy created a firestorm of protest. Some parents angrily suggested that this was clearly a case of Islamic indoctrination. Others said it was a way creating a comfort level with Islam and preparing the way for indoctrination. Here's what I think while admitting that I know almost nothing about the woman, her motives or those of the Virginia school board. If political correctness wasn't shoved down American's throats, a thousand different ways, on a daily basis, the reaction might have been different, but I don't know that for certain. Possibly, if our culture didn't seem to be working overtime to eliminate religion, with a particular focus on Christianity, from the public sphere, people might be more tolerant. Meaning, if you're going to demand that any mention of Jesus be taken out of Christmas, for instance, for fear that some groups might be offended, then, you damned well better do the same with other religions. Muslims are frequently used as an example of those who might find Christmas offensive and even alienating. Muslims, however, are 0.8% of the American population. So, when less than 1% of the population decides that the other 99% must change to accommodate their comfort level, I'm inclined to say, “Too damned bad!” But, I don't really believe that most Muslim Americans feel that way. Neither do I believe that most are that demanding. How about Atheists? Actual atheists or agnostics are less than 6% of the population. Another 3% of the population is Jewish, but Jews have comfortably tolerated Christmas for centuries, and they've done so while living just about everywhere in the Western world without complaint. ​No, the real culprits, I believe, are various far Left political groups who view America's religious Right-wing as the real extremists, not the radical Jihadists. Eliminate them, or, at least, diss-empower them, and you can radically change the course of American politics. The atheists may join in, but only those who have some deeper affiliation with Left-wing politics. In reality, the Left uses Muslims as a scapegoat in a case like this—and political correctness is the cudgel that furthers that goal. Does the Virginia teacher fit into any of these categories? I don't know? She may simply be tone-deaf to the world around her. But, I have my doubts. Is she a demagogue, a Muslim sympathizer, someone who is angry at Christianity as a religion of bigots? All of the above? None of the above? Is her tone-deafness possibly the result of her political world-view? I think the latter is the most likely answer, even if I have no real evidence to support my claim. On the other hand, maybe I want her to be that, to fulfill my own world-view? That's certainly possible. And, if I know nothing else, I know at least that much to be true.